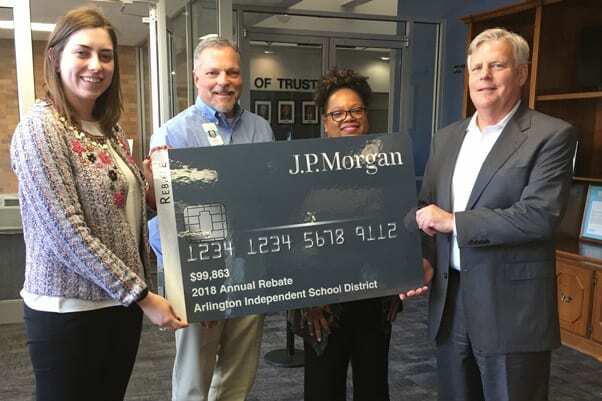 The Arlington ISD has partnered with Chase Bank to pay vendors electronically and earn rebates on those electronic payments. The district’s finance department was recently presented with an annual rebate check for $99,863 by representatives from Chase Bank. Previous Please complete 2019-2020 District Calendar Survey by Nov. 11!